im new here and need some advice. thinking of going down to dr nara this coming dec but till now i have yet to make any appointment or anything. can i just walk in and ask him to help me do? will he do it? but my main concern is whether my nose can be worked on such that it becomes like allthatjazz. i love her nose. im not looking for a super high bridge. as long as the front view looks good. 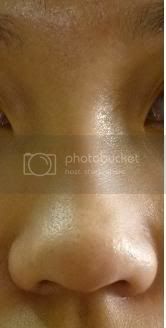 will i need an op to define my tip or will a rhinoplasty do the job? i guess i need alarplasty as well? I could be completely wrong but I think your nose looks kind of crooked (it could just be the lighting and shadows), and if that is the case, it probably won't be a touch and go, and Dr Nara can't perform very complicated surgeries (from what I have read). allthatjazz actually has pretty good symmetry and a pretty good structure originally, therefore needing very little augmentation and a simple implant to raise his bridge (from what I can see from his before pictures). babyruby86 wrote: hi i am currently deciding to do my nose but deciding to either go yanhee and get it done by dr sukit or to go to tokai? some of u here mentioned that dr pat from tokai is not a surgeon certified doctor? is that true? but i seen pics by boii 18 and i think its pretty well done? Hmm anyone who have done their noses by these two places?care to share more? it does look a little crooked, is it the lighting? 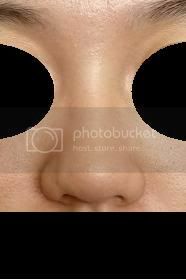 wld be easier to judge with a profile pic of ur nose too... what does allthatjazz nose look like? xxo: do you have trouble breathing? It's like this feeling where one side of your nostril is forever blocked and it's hard to breathe throughout the day. It's looks like a deviated septum to me. But i'm not sure if dr nara is still going to agree to doing a rhino for you, cos in the past i've seen someone in this forum with a deviated septum, and he still does it. After the surgery, because of the much higher bri, the crookedness is more obvious, then the patient kpkb, say that nara made the nose crooked. cersepn wrote: xxo: do you have trouble breathing? It's like this feeling where one side of your nostril is forever blocked and it's hard to breathe throughout the day. It's looks like a deviated septum to me. oh my god. i never had ppl telling me my nose is crooked. feel like fainting. and i can breathe quite normally if u ask me. no blocked nose or anything unless im having a flu. alright.. let me find a better pic. or maybe anyone can give me your email add? i will send u a pic of myself without cropping out anything and u guys can gimme your views. aye so it was just the angle and lighting of the first pic. Yea your nose looks fine lol. By the way, you don't look like you need alarplasty; it really isn't that wide. I suspect it's the tip that is too bulbous and gives off the impression of it being wider than it actually is. so will a rhinoplasty help? i dont intend to do the tip if i can cause Dr nara doesnt do it right? in fact was thinking if lengthing the nose will help make it look better. xxo wrote: so will a rhinoplasty help? i dont intend to do the tip if i can cause Dr nara doesnt do it right? in fact was thinking if lengthing the nose will help make it look better. Seriously just judging from the picture, your nose doesn't look like it needs any lengthening. Your nostrils aren't showing much at all. And you have good symmetry. I think you just need to raised the bridge a little and refine the tip a little. But wait, are you a guy/girl? If you are a guy, I think you can get away with not doing your tip but if you are a girl, you might be better off with one. If you are looking for doctors in Thailand, why don't you find one that does the tip? I think boii did his with a doctor in Thailand. Maybe Aadvark or boii will know more about that. wah why the gender bias, feline? i think she meant that guys are rougher so, a little flaw on the tip doesnt matters much.. I think you just need an L shaped or S shaped implant that covers from ttip to bridge.. your nose looks bulbous becoz your tip is not raised enough i guess. Try Nara and Puttisak. they are pretty good. but if i were to choose i will prefer puttisak because i done with him and he is pretty detailed with his consultation. Nv try yanhee.. becoz they only do I implant which i done it about 1 1/2 yr ago and recent redo it with puttisak.